31 August (1892) The clock has arrived! 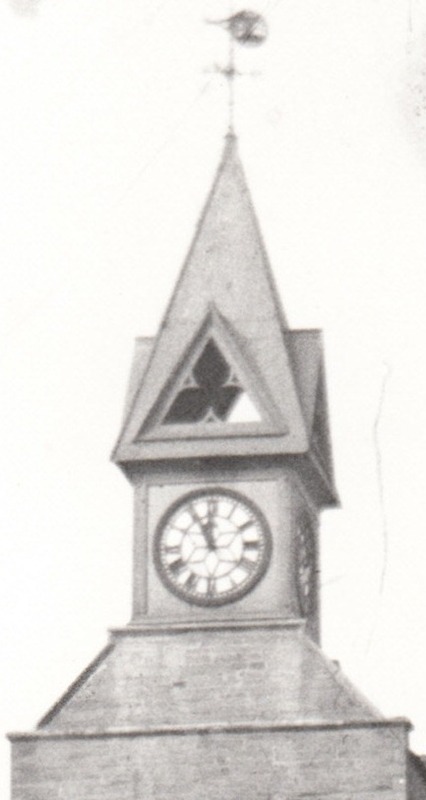 31 1892 (Wed.) GUILDHALL CLOCK unveiled by the mayor David Davies, Stanley House. Set in motion by the mayoress. Afternoon was a Public holiday. Manufacturer was Messrs Smith & sons of Midland Clock Works, Derby. Clock turret designed by Richard Thomas, Roseleigh; builders of the turret J. Richards, carpenter, St Dogmaels; John Evans, mason, Church St. Inscribed Sicilian slab fixed in the turret was supplied by Thomas Jenkins, stone cutter, Gordon Tce. A llon, mae’n harddu’r lle. Tra paro Cloc y Dre. At 7 pm 100 gentry, tradesmen had a complimentary banquet at Black Lion. The room was beautifully decorated by flags, flowers. Mrs Trollip served a good spread. However the workers, Corporation labourers (total 40) had to make do with the Fat Ox. Nice one Mr D. Luke for providing such an excellent repast upon so short a notice. Originally intented that the clock should only have 3 faces. This is referred to in verse: written by John Sharpe, Borough Surveyor. All hail! thou latest chronicler of time! Of closer confidant. You can’t hit back. And as for these my counsels- weigh them well! Maybe you’ll act upon them-time will tell. Refixed your inside gear and gave you four. Mace and give them in charge to Sergeant Davies. 9 1859 (Sat.) Guildhall is completed. The Market Hall opened at 6.00 a.m.
8 1858 (Thurs.) 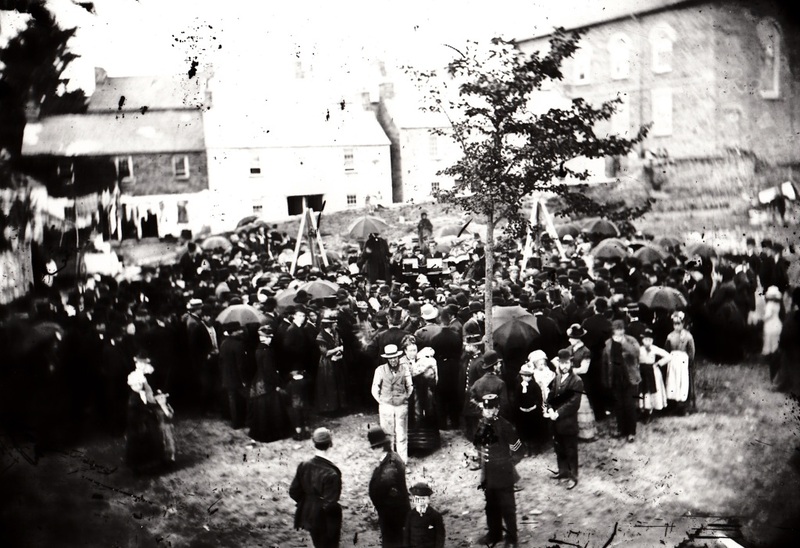 Foundation stone of the Guildhall laid by the then Mayor, Ald R. D. Jenkins, of Cardigan Priory at 2.00pm. 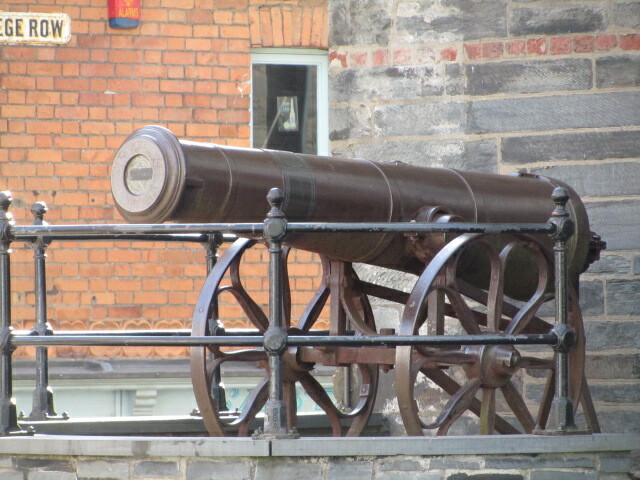 Bells of St Mary’s rung; town cannon fired three rounds on the Netpool; 2 old soldiers Stevens and Macdonald were in charge of the cannon; police maintained good order; town crier announced the route of the procession on the eve of the event at about 6.00 pm. 24 1859 (Tues.) Town Council decided to lengthen the Guildhall by 11 feet. This was done by building over the archway, and brought the length of the building to 57ft 5ins. 24 1880 (Mon.) Mt Zion officially opened. 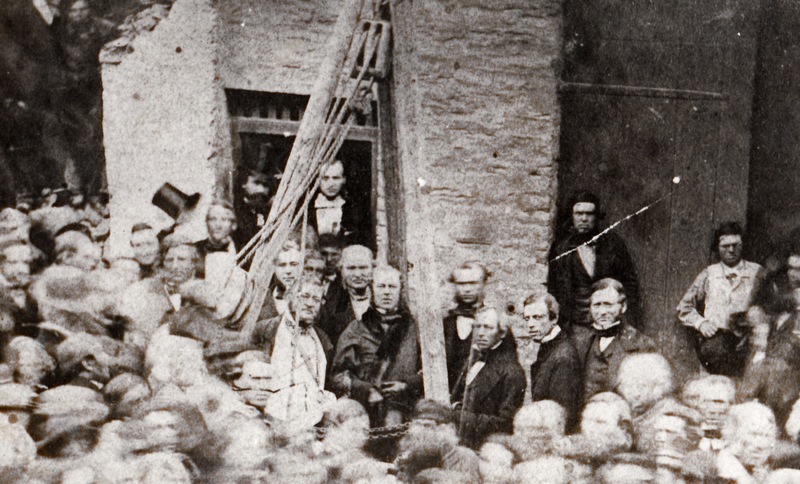 The foundation stone was laid by Sir William Davies MP for Pembs. The building cost £1, 190.